The Honor Note 9 is to the Honor 9 what the Galaxy Note 8 is to the S8: Larger, more powerful, and almost certainly more expensive. Huawei is gearing up for a couple of interesting releases, with recent information on the upcoming Mate 10 flagship giving fans something to look forward to. Honor is the OEM's lower-priced product line, and with the Honor 9 released a few months ago, we're set for the launch of the larger, more powerful Honor Note 9, in a schedule similar to that of the Samsung flagships. The Honor Note 8 was released in September last year, so we may be closer than ever to the release of the Note 9. The Note 8 sported a massive 6.6" display but it's still unclear what display size the Note 9 will feature, as 6.6" feels a bit excessive. 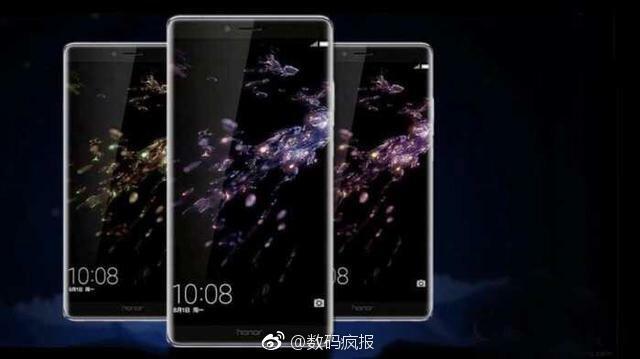 Leaked images of the device show it as having an edge-to-edge display, exactly the same as what we will be getting on the Mate 10. The Note 9 can also be expected to sport dual rear 12MP sensors, 6GB of RAM, 64GB of storage, the yet unreleased Kirin 965, and a hefty 4600mAh battery. We'll be sure to keep you updated if anything new comes up.